Montrose's wine is typically a blend of 65% Cabernet Sauvignon, 25% Merlot and 10% Cabernet Franc and is matured in oak barriques (30% new) for 18 months. 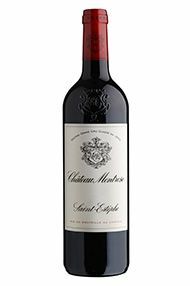 Montrose wines are traditionally deeply coloured, austere and powerful when young, yet possess superb ageing potential, and when mature are quintessential St.Estèphe clarets. Montrose is classified as a 2ème Cru Classé. There is a really nice aroma of tobacco combined with floral notes on the nose here. Darker fruits dominate, blackberry, cherry and plum to the fore. There is a sweetness to the palate too, with an energetic lift and very rewarding length. I really like the wine this year. A cooling, mineral, earthiness arrives on the finish and this is really welcome and pleasing. Quite sumptuous for a second wine, it is serious this year. A good fruit core, nice and savoury and a joy to taste. As big as ever, Montrose has made a real tour de force in 2005, although it is very much an iron fist in a velvet glove. It is a dense wine with enormous tannins, but the latter are cloaked by sweet, concentrated, ripe cassis and plum fruits. It is only on the incredibly long finish (a real feature of the 2005s) that they really reveal themselves, but even then they are very fine. This is not just a brute though, it has great charm and grace. The 65% Cabernet Sauvignon really comes through and helps give the wine that wonderful earthy St Estèphe personality. In 2006 the wine is epitomised by balance and finesse. It has enormous tannins but not only are they very fine, they are serenely cloaked in dense crushed blackberry fruit, earthy spice and minerally coffee hints. 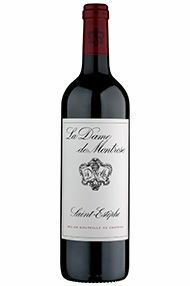 The wine's cool classic edge merely serves to further reinforce its silky, feminine style - well for a St Estèphe anyway. Very good indeed. We usually struggle with tasting Montrose this early on in its life. It’s not only because it is the most Northerly “Super Second” and really tends to need that shot of Indian Summer to finish it off, but you also try a couple of their other wines first which are ok, but very firm, structured, tannic and ungenerous affairs and when you come to taste La Dame and the Grand Vin your mouth is coated with high levels of tannin and acidity. However, this year, the Grand Vin brushes away everything in its path with its rich, multidimensional, complex, and to be honest, glorious weight, power and fruit. I think the team were a little split on this, but this Montrose for me is more subtle and refined, and consequently far more rewarding than the dynamic duo of 2009/2010. It may also surprise us with a reasonably affordable price too. Fabulous. In 2010, Ch. Montrose purchased 22ha of prime land from their neighbours, Ch. Phélan-Ségur. The vineyard exactly borders Montrose on its western side and is planted with 2/3 Merlot and 1/3 Cabernet Sauvignon. According to who you speak with, this may be Phélan’s best parcel and the Merlot is especially prized. This has given the Montrose team a short-term puzzle, resulting in a higher than usual proportion of Merlot in the blend for the Grand Vin. This will be adjusted over the coming years as existing Montrose Merlot on excellent Cabernet land near the river is replanted to the latter, but in the meantime there is an embarrassment of fine Merlot on the estate. Not that this is a problem: in 2012 the Merlot excelled. This wine, with 57% Cabernet Sauvignon, 37% Merlot, 5% Cabernet Franc and 1% Petit Verdot, is dense and spicy, with the very low-yielding Cabernet fully ripe and giving an earnest backbone to some high quality Merlot. This is perhaps not a traditional Montrose, but it is certainly a beguiling one. 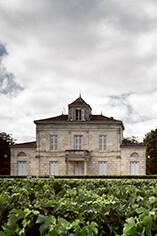 Known as the Latour of St Estèphe for its power and longevity, this estate is an excellent source of top Claret. With 73% Cabernet Sauvignon in the blend, this exhibits beautifully-balanced tannins and precise, sweet fruit. 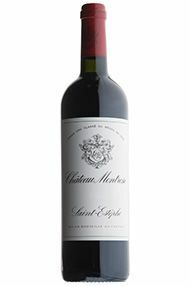 It is a classic Montrose and a delicious example of Bordeaux at its best. Decant this wine at least an hour before drinking to unleash its glorious potential. Drink until 2025. A dark black-red, Montrose is brooding in the glass. Complex and concentrated on the nose, there are blackcurrants, liquorice and hints of mint. There is a nice intensity on the palate, quite firm, full-bodied and full of minerals and spice. Perhaps more refined than usual, the wine is really rewarding and quite generous with notes of fleshy dark cherry and blackcurrants. There is an inherent richness here, a lovely dark fruit profile and pure, focused tannins which are typical of this great estate. This is a really fine effort, engaging, atypical of the great commune of St Estèphe and one of our favourites from the vintage. Modern and pure, it is a perfect expression of modern Ch. Montrose. If ever there was any doubt that the wines of St Estèphe had triumphed in 2003 then a taste of this magnificent wine immediately put the record straight. A wonderful nose of ripe, pure Cabernet Sauvignon with layers of spicy oak introduces a palate that is at once intense, multi-dimensional, loaded with minerals, black cherries, firm acidity and powerful tannins, all singing in perfect harmony. This is possibly the best Montrose ever made, surpassing its 2000 and possibly even its legendary 1990. The growing importance and quality of second wines continues with this wonderful Dame de Montrose. A wealth of bright red and black fruit, aided by the Merlot, combines with hints of spice and ground pepper to provide a rich broad palate. La Dame continues to get better every year. 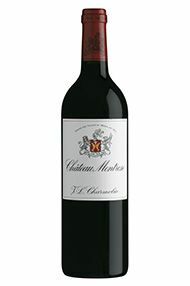 Château Montrose has a lot to live up to after their 2003. This year they felt they have produced 'just' a very good wine, not dissimilar in style to thier 1996. WIth 64% Cabernet Sauvignon in the blend this is a powefully structured Montrose. Opaque and black-red in colour, the nose shows deep bitter chocolate and spicy red berry fruit aromas. The flavours reminded one of thickly textured, fresh savoury fruits and there was a wonderful balance of racy acidity and firm tannins. It is a superb follow-on to the 2003. Second Growth Ch. Montrose is located in the east of St Estèphe, just north of the hamlet of Marbuzet, on a gravel knoll only 800 metres from the Gironde estuary. The proximity of the estuary ensures a microclimate that protects against frost, and the vines, which lie on deep clay-gravel soils, benefit from a south-easterly aspect. This is classic St Estèphe from the excellent millennium vintage: floral overtones are complemented by firm blackcurrant fruit and a savoury personality. This ideally needs another few years in bottle (or at least decanting a few hours before drinking) to soften its imposing tannic structure. Full of mineral complexity, this hugely impressive effort has the ability to age for decades. This is incredibly complex and defies the vintage. It is dark, well structured with more fine ripe tannins, a complexity then I found on most of the wines this vintage and a streak of minerality and energy and a beautiful floral aromatic note on the nose. St-Estèphe escaped the torrential rain at harvest that plagued most of the Medoc and the resulting wines are incredible. An unusual blend as it has no Cabernet Franc and the final blend is 68% Cabernet Sauvignon, 29% Merlot, 3% Petit Verdot. Rich and intense, the nose of 2016 Montrose is filled with dark fruit. There is coating of oak on the palate, adding a spiciness and dark raspberry note. Very upfront, it has a long, ethereal finish. It has richness but is compact and supremely elegant. This is a really super effort: engaging and atypical of the great commune of St Estèphe. Modern and pure, it is a perfect expression of modern Ch. Montrose. The sweetness of the tannin, the extraordinary purity of fruit and the intense aromatics suggest a year of great ripeness. Fragrant, pretty and beguiling, this provides a really enjoyable glass of wine. Full-bodied, it exhibits superb concentration, sweet tannin, and a multi-layered, textured, full-bodied mouth-feel. The sweet, perfumed nose is so, so enticing and the palate simply doesn't disappoint. Inky purple in colour, this offers a very appealing nose of blue fruit, cassis, blackberry and fruits of the forest. On the palate, it is gloriously lifted with bright acidity and a lovely earthiness, finishing long, enveloped by ripe tannins. A very complete second wine.